GOALI (Global Online Access to Legal Information) is the newest Research4Life programme promoting access to legal content from top academic publishers as well as training in developing countries. 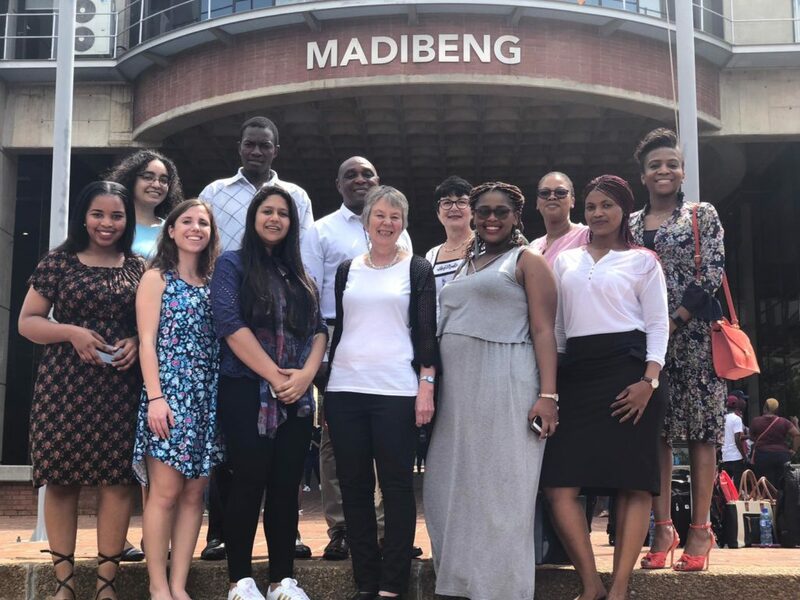 The goal of the workshop was to instruct information professionals working in sub-Saharan Africa about the structure of legal information and legal research and how GOALI facilitates legal research. Participants of the workshop came from multiple organizations including ITOCA (Information Teaching and Outreach Centre for Africa), ILO (International Labour Organization), and DAR (UN Technology Bank – Digital Access to Research). They had all provided numerous trainings on the other Research4Life programmes previously. ITOCA in particular has trained over 20,000 academic and research professionals in information literacy courses that focused on the use of e-resources in Research4Life and similar programmes throughout sub-Saharan Africa. Different countries in Africa use different legal frameworks, therefore information professionals from Africa first learnt how legal information is organized within these frameworks: common law, civil law, domestic customary law, Islamic law, and international law. For each framework they discussed the sources of the law, how information is organized, and the role of legal scholarship and secondary sources. Sipho Nkosi, lecturer for University of Johannesburg Faculty of Law, also participated in the workshop and lent his expertise on South African law and African customary law. In the second half of the workshop participants learnt how to use GOALI for subject-specific research in contracts, torts, property, criminal law, and international human rights. Representatives from ITOCA, ILO, and DAR also discussed and emphasized how important is the access to the law and to understand how to conduct legal research. [The training] was very useful and it [gave] us a clearer context of how to tackle research in law and from now it will be easier to train law professionals on how to use GOALI since I can now understand where to start and the terms in law. By helping ITOCA representatives understand the basics of the legal field, we formed the first link in a chain to justice for students, professors, researchers, government officials, and other players in the legal field in developing countries. ITOCA’s outreach and training programs are so important; through GOALI, they will help many gain better access to and understanding of the law. Discussions about the law, as we had during the GOALI workshop, and the GOALI platform itself, are big steps towards eliminating information imbalances and empowering people to create effective and just legal systems. The three-day long program was developed and taught by Cornell Law Library and the Cornell Legal Research Clinic. Special thanks to the trainers, Ariel Scotese (Access & Research Services Librarian at Cornell Law Library, Assistant Director of the Cornell Legal Research Clinic), Dana Kinel (Cornell Law School JD 2020), and Medhavi Nautiyal (Cornell Law School LLM 2019) for their excellent work. Special thanks to the University of Johannesburg for hosting the workshop.